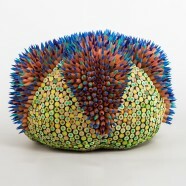 Jennifer Maestre attended the Massachusetts College of Art where she graduated with a BFA. 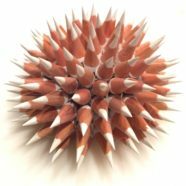 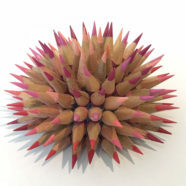 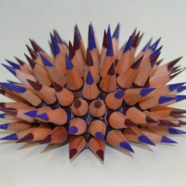 Her sculptures are inspired by the form and function of the sea urchin. 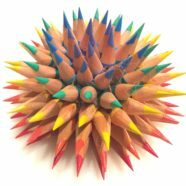 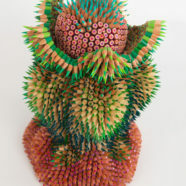 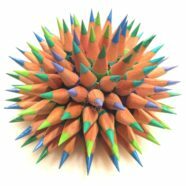 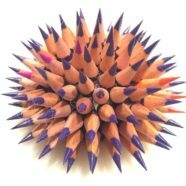 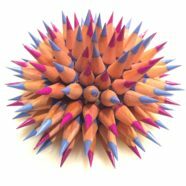 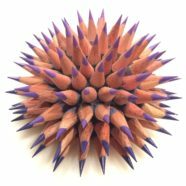 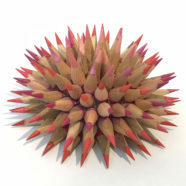 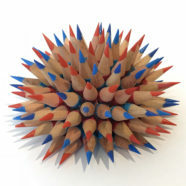 To make the sculptures, hundreds of pencils are chosen by color, cut into 1-inch sections, holes are drilled in each one (turning them into beads), then sharpened and sewn together. 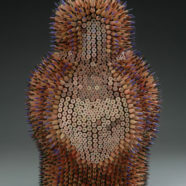 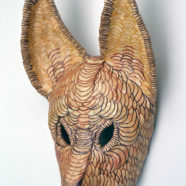 Jen’s sculptures are exhibited internationally. 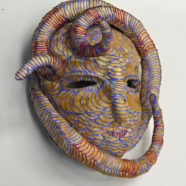 She lives and works in Maynard, Massachusetts.